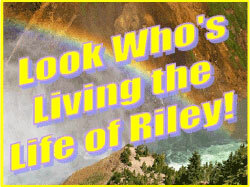 *** WINNERS *** Nancy, Shayna, Valerie and Louis are Living the Life of Riley! CONGRATULATIONS! « Sign Up for the Step2 Birthday Club for Fabulous Coupons and Savings ~ Check Out This Weekend’s Amazing Deal Too! I want to give a big and hearty CONGRATULATIONS to Nancy, the winner of the $35 Gift Certificate to ACE Educational Supplies! Nancy now has 48 hours to confirm! I also want to give a big and hearty CONGRATULATIONS to Shayna, the winner of the Activity Drum Center from CP Toys! Shayna now has 48 hours to confirm! I also want to give a big and hearty CONGRATULATIONS to Valerie, the winner of the Set of 10 Children's Animated DVDs from TV Flashbacks! Valerie now has 48 hours to confirm! I also want to give a big and hearty CONGRATULATIONS to Louis, the winner of the Pearl Bracelet in the Color of His Choice from Pure Pearls! Louis now has 48 hours to confirm!